I have been thinking of publishing this blog using my own domain. In fact I have been nurturing this idea for the past six months or so but even the posting has been very irregular due to various reasons. Yesterday I switched over to my own custom domain. So the URL of this blog has been changed from http://ideagold.blogspot.com to http://www.ideasgold.com. I couldn’t get the desired domain ideagold.com but this is alright for me! Searches for this blog using the earlier URL will be redirected to the new URL. So you won’t have any problems in accessing the posts on this blog. 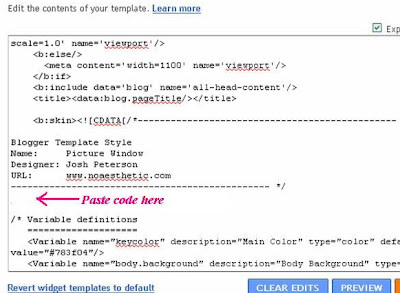 Even if you type the URL as http://ideasgold.com (without the www), you will be directed to this blog. I still love to use the convenient blogger platform and the free hosting facilities offered by Blogger. The use of the custom domain www.ideasgold.com may hopefully prompt me to be more regular in updating this blog. After purchasing the domain from godaddy.com, the switching to the custom domain was a very easy process, taking less than 20 minutes. I’ll write a post on this shortly. When you disable or hide the navbar, you will lose the features offered in the navbar. The main reason why many bloggers hide or disable or remove the navbar is that the blog will get a little more professional look. But if you are still using the blogspot domain for publishing your blog, there is not much to gain by way of the professional look. If you are publishing your blog using your own custom domain (such as yourblog.com instead of yourblog.blogspot.com), your blog may look more professional even if you make use of the free hosting provided by Blogger. Sign in to your Blogger account and get the ‘Dashboard’. Click on ‘Design’ button. 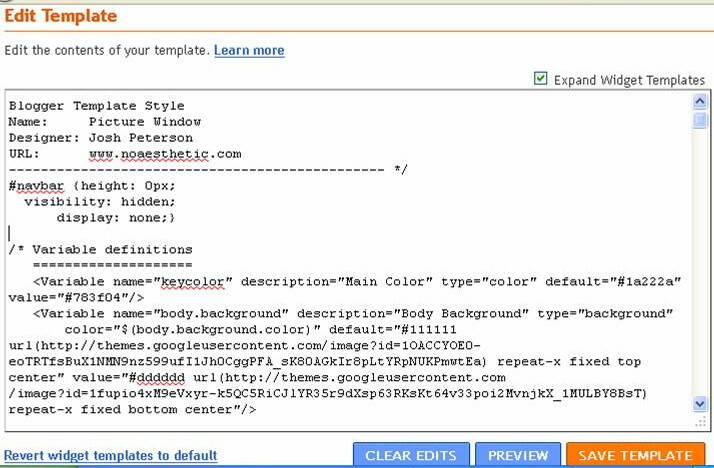 After obtaining the Design (Layout) window, click on ‘Edit HTML’ button as shown in the following figure. 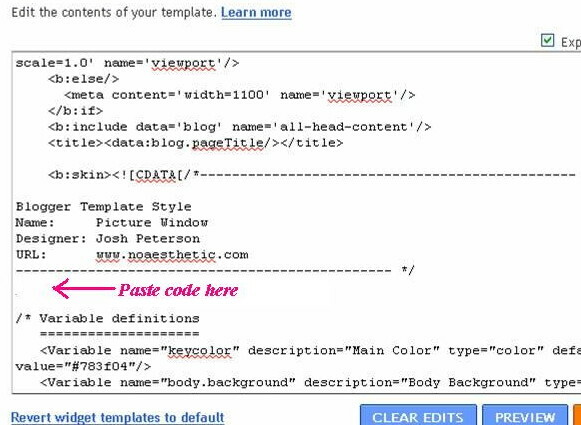 Before proceeding further, you may save a copy of the template after expanding the widget templates (as a precautionary measure). 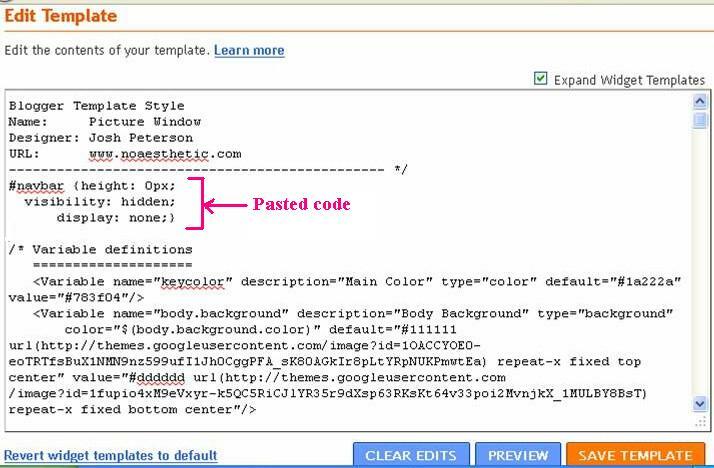 Now, paste the above html code as indicated in the following two figures. The place where you may paste the code is shown in the figure above. The figure below shows the code pasted. 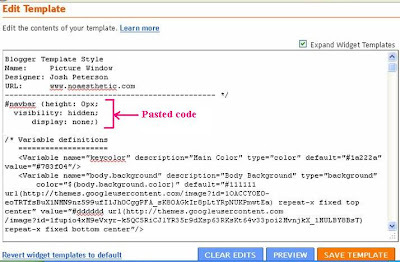 After pasting the code, click on ‘SAVE TEMPLATE’ button at the bottom. Once the changes are saved in this manner, view your blog. You will find that the navbar is hidden. If you want to enable the navbar, simply remove the above code you added and save the changes. The navbar will reappear.